Q1) In which course are you presently enrolled? Please tell us something about yourself – your interests and areas of specialization. Hi, I am Avisek Lahiri from IIT Kharagpur. Currently, I am in the second year of M.S (by research) from E&ECE with a specialization in machine learning for computer vision. I am very interested in research themes of artificial intelligence, machine learning etc. 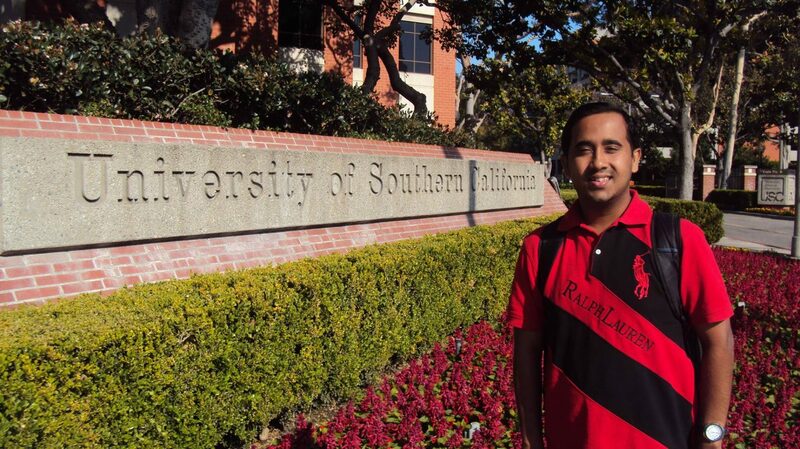 I opted for Viterbi-India internship program for an 8-week long internship at University of Southern California, Los Angeles, USA. It is one of the most lucrative internships that one can apply for. We got a stipend of about $2640 (which included medical insurance for 2 months’ stay at USC) before leaving India. Air tickets were arranged by IUSSTF, so applicants need worry about that cost. Q3) Briefly describe the procedure for application. What are the eligibility criteria for this internship? The application portal can be accessed from the IUSSTF site. The call for 2016 program is still open!!! The deadline is Nov-15-2015. Undergraduate (completed 3rd year) and Masters students pursuing Computer Science, Electronics/Electrical Communication Engineering will find the internship most suitable. The application process is fairly simple. Applicants need to upload their recent transcripts, 2 letters of recommendation and names of 2-3 USC professors with whom the applicant wants to intern. Also, the applicant needs to prepare a short SOP, mentioning the kind of work they are interested in doing during the internship tenure. Q4) How did you come to know about the internship? Which channels of information (Internet/ Personal/Corporate contacts etc) did you utilize? 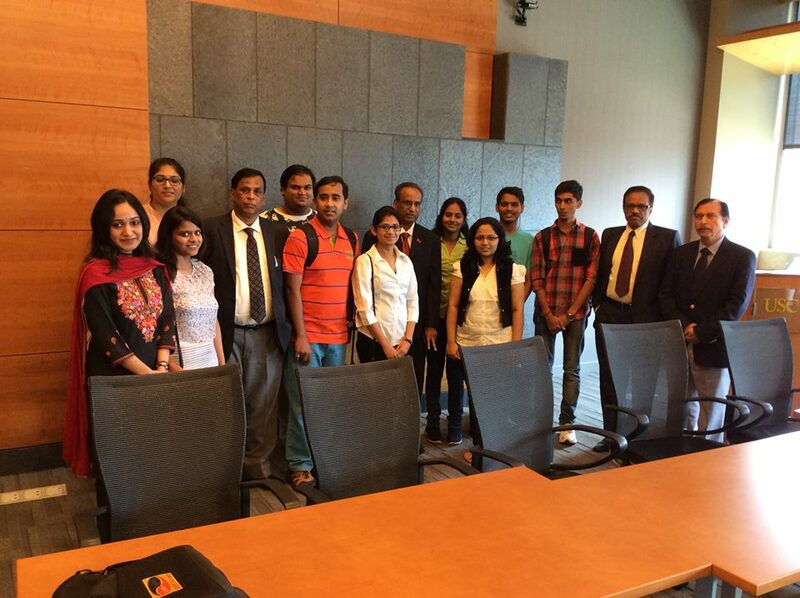 Viterbi-India internship is very popular among the U.G students in IIT Kharagpur campus. So, I was already aware of this internship. Also, IUSSTF sent an application poster which was on display in our academic section. Well, this is indeed a tough internship. 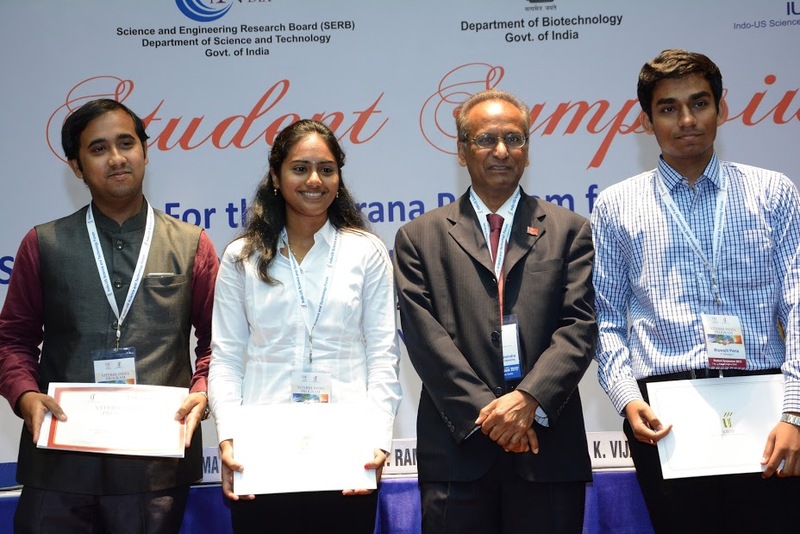 Department rank holders 1-3 from various IITs and NITs apply for the internship. I believe a consistent and high CGPA (10/10) of mine helped me in the selection process. My fellow recipients also had an average CGPA of around 9.8. Also, I had some research papers during my U.G and initial days of P.G; such research publications also add great value to an application. It is very important that your research interests match with the areas of specialization of the professors under whom you are applying. Else, your application might not be short listed. So, do a thorough study of recent research work of professors at USC. If you find a good match, write your SOP accordingly. Also, if possible, get in touch with prospective USC professors. If you get a favourable reply, mention it clearly in your SOP. I followed a similar procedure and I strongly believe that it played a crucial role in my selection. Q6) According to you,what are some common mistakes that you feel applicants should avoid in the internship application process? Try to take recommendation letters from professors who have taught you subjects similar to the ones you are applying for in the internship. Q7) What kind of groundwork did you do post-selection and before beginning the internship? After the selection confirmation mail, I was only required to apply for VISA and SEVIS. As I hail from Kolkata, the VISA application was not a big issue for me. Also, I got in touch with my assigned mentor for fixing a broad domain of research. My research project was on classification of YouTube videos. We had around 8 TB of data of around 50 types of downloaded YouTube videos and the objective was to formulate a scalable machine learning algorithm to classify this huge collection of videos. The main challenge was that we were provided with very few labelled videos and using such a small labelled sample space we had to design a large scale learning algorithm. Mean average precision of video retrieval is low, even by state-of-the-art methods. So, it is still an open problem. I was given the role of improving the previously developed algorithm so as to make the system more efficient for video retrieval task. Yes, this was my first internship in an academic institution. Q10) What was the best feature of the work ethic of the organization and the internship? What was it that you liked about your workplace? The best part of the internship was my mentor and lab mates. They were extremely helpful. Even though they are doing some of the pioneering work on computer vision, they helped me to understand the very basics before I was absorbed into their algorithm development pipeline. There were no strict rules of timely morning attendance and the like. I used to sometimes work from my leased apartment, and sometimes late night in the lab-basically I had full freedom to work from wherever I wanted. I was also invited to meetings of the lab, where I came to know more about the future trends in computer vision research. I did not face any difficulties as such. Some precautionary advice: 1) Start searching for sub leased apartments well in time 2) Confirm whether you need to sign a sub lease agreement before reaching Los Angeles. 3) Neighbourhood of USC is not very safe; so please don’t roam around alone after sunset. If you are applying to ISI(allied institute of USC), you will be able to attend at least one AI talk/meet each week. We also had a summer barbecue session where we met the American interns who had come to spend their summer at USC. So, you get good exposure and interaction opportunities with your peers from other nations. Q13) How much difference has this internship period made in your intellectual capabilities and mindset. In broad terms what are your gains and takeaways? The internship has given me the confidence to face real world machine learning problems. Previously, in course of academics, we used to submit assignments on toy examples, but during the internship I faced the practical difficulties of handling huge volumes of real world data. I had no initial knowledge of Python, but the team at USC primarily deploys codes in Python. So, I learnt Python during this internship. Also, I learnt a lot of new machine learning algorithms which I had not been exposed to in my academic curriculum. After this internship, I feel more confident as a machine learning practitioner. Q14)What are your future plans and how much of an impact do you think this internship will have on it? I have already received the Google India PhD Fellowship-2015 and thus I will be enrolling for PhD at IIT Kharagpur from December-2015. The internship has certainly boosted my confidence to undertake doctoral studies at this stage of my academic career. Write your SOP with utmost care. Also important are the letters of recommendation. Please inform your institute professors well in advance and make sure they highlight your achievements clearly. If you have publications/project works, then apply for internships with professors having a similar profile. If you have written any research paper as part of your project, get in direct touch with your supervisor. I have personally seen such applications materializing into successful internships. The work ethic in the USA is different from that in India. Enjoy the new environment and make lot of connections with your new mentor and PhD students in your assigned lab. These kind of internships will place you amidst researchers who are delivering state-of-the-art solutions in their respective domains. Grab the opportunity! This is a great initiative by InternFeel. It’s great to have a portal where interns share their own experience so that juniors can benefit from correct information. Kudos to the team of InternFeel! 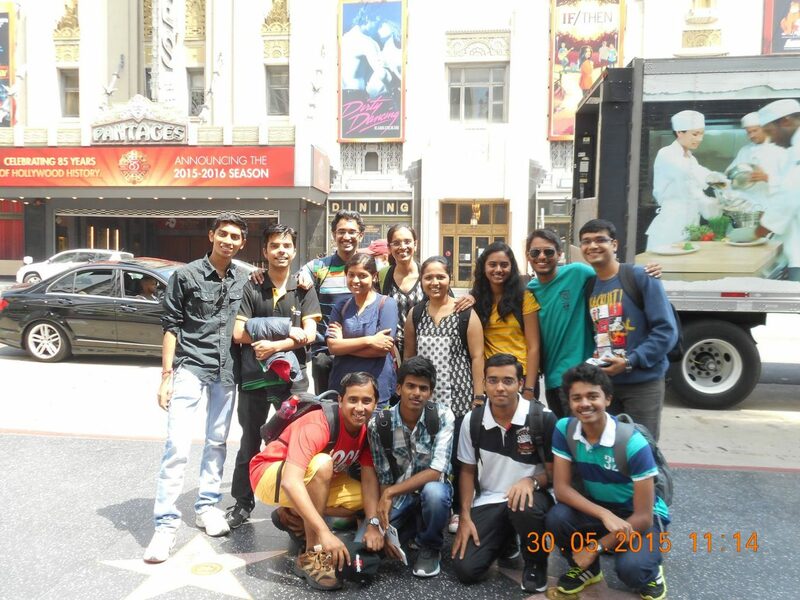 How Aayush worked for UC Berkeley’s Ph.D candidates from home ?